Easy as Uno, Dos, Tres! 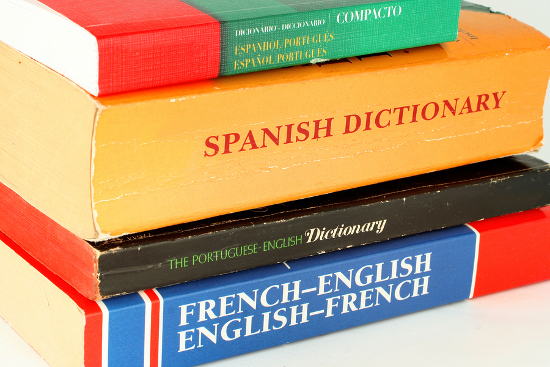 Whether you have a love of languages, or would like to get up to speed for a language degree or in order to work in another country, taking a gap year to hone your language skills can be a savvy option. Whats more, it allows you to combine travel with something that can be of real benefit to your career long term. But with so many language learning options out there, what would be the best way to go about it? "Get placed to live with a family where you will of course be even more immersed in the language and accelerate your learning"
One great aspect to a private course is that you may get placed to live with a family where you will of course be even more immersed in the language of your choice, and this will accelerate your learning no end. However, research is the word here as these courses can be extremely expensive, especially if youre away for a long period of time. If you are set on doing one, look into how many hours of language tuition they deliver, where you will be living, what sort of social or day trips will be incorporated and whether it is complete immersion (i.e. they will only speak the native language to you for the whole of your course). A cheaper option may to be to take a one year University course in the country, learning the language of your choice. This is not only likely to be much cheaper than the private alternative, but you will also have access to the other advantages of a University - leisure facilities, more students and potential friends, social activities and, of course, holidays where you can travel! You may also get an internationally recognised qualification at the end of it too, plus get an insight into what life can be like at University, and whether it is for you. Many European Universities teach in English and many have significantly reduced fees and entry requirements, so extending your short course into a degree can be an interesting solution for someone who wants to extend their stay in a foreign country. Any type of work abroad - in another country, should help with your language ability, even if you au pair abroad. The only way to really get to grips with a language, including things like accents and slang, is to live there and use it on a daily basis. But if gaining language skills is your number one priority, you do need to look carefully at what you are going to do. Interning and < a href="/travelinsurance/backpacker-insurance/career-gap/volunteer-abroad/"volunteering abroad involve you giving up your valuable time so dont be embarrassed to ask questions to make sure that it is right for you. "The only way to really get to grips with a language is to live there and get used to it on a daily basis"
If you are working you are more likely to be working alongside nationals with the possible exception of hospitality where, again, you could be working interacting and serving people people from all over the world, rather than the host country. Of course, you will obviously get the opportunity to learn the language during your time off, but do be aware that this may be limited. If you like the idea of visiting multiple places in one country during your gap year, Language Exchange (www.languageforexchange.com) is a site where you can meet people online to practise language skills with and then, once youve got to know each other a little better, even organise an exchange. This way, finances allowing, you could have a number of exchanges in your gap year year, visiting different areas of your chosen country, and perhaps working casually at home in between trips to earn the airfares and spending money! This is a great way to meet lifelong friends, and help someone else learn a language too, with the added possibility of lots of variety in where you visit over that year. "Get up to speed with the basics..."
Living in a country where you know nothing of the language is hard, and you will get more out of it, and find it a lot easier, if you can at least get up to speed on the basics. 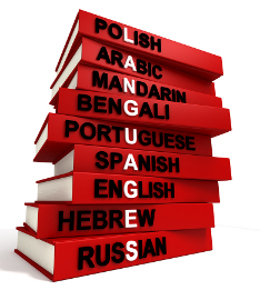 Amazon is full of language courses, books and CDs, and there are plenty of local education authority courses or private tutors to get your language skills up to a certain level so that you dont feel too disadvantaged when you just arrive. Ear Worms (https://www.earwormslearning.com/) is a great choice for absolute beginners, as is Michel Thomas (https://www.michelthomas.com/), which boasts of being able to teach you a language in hours. Comics and magazines are another way to familiarise yourself with the language and are often (comics especially) written in a way that beginners and intermediates can understand. Taking a gap year or third year placement to learn a language can be one of the most exciting times. With so much to do and see you can really lose yourself in your new life abroad. Often a requirement of your job or university course you will be to take out your own private travel insurance policy. At Essential Travel we can provide policies no matter how long you travel for.